We love wine. We enjoy a broad range of wine styles, too. In fact, its rare that we encounter a wine style that we can’t find some redeeming elements somewhere. Well, there was that one wine from Phoenix, but that’s pretty much the exception that proves the rule. Our wine appreciation scale runs from “that’s interesting” all the way up to “WOW!”, with most wines crowding toward the high side. 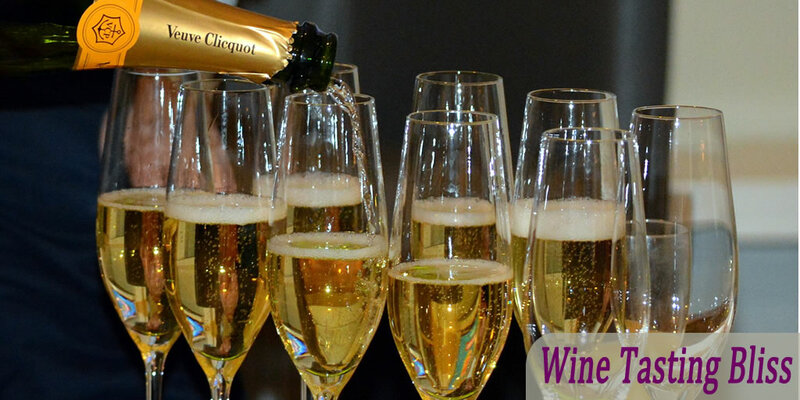 Firmly situated on the WOW side of the scale for us is sparkling wine. Those bubbles are just so darn cute, but did you ever wonder how they got there? Sparkling wine travels under a variety of pseudonyms: champagne, cava, crémant, mousseux, espumante sekt, or pezsgő. Whatever the name, the beverage is basically wine, red or white, with some level of carbonation. Back in the day (the 1600’s), the gas bubbles that occasionally cropped up in wines made in the Champagne district of France were considered an embarrassing problem. A Benedictine monk, with the now-famous name of Pierre Pérignon, was tasked by the Abbot of Hautvillers with eliminating this egregious problem. After years of struggling to eliminate secondary fermentation (the mechanics behind those adorable little bubbles), Dom Pérignon declared defeat and the sparkling wine industry became a thing! If you can’t fix it, make it a feature! Making champagne in those heady early days was not for the delicate. Gas pressure would build up in the champagne bottles, causing frequent explosions that sent glass flying in every direction. Workers resorted to wearing iron masks and heavy clothing to protect themselves from the flying shards. Champagne is actually a region in France, and only sparkling wine from that specific region can be called champagne. A nuance in American law allows any U.S. sparkling producer with a champagne label that was actively sold prior to 2006 to continue to use the name champagne. Otherwise, the weaker term “sparkling wine” is used. Sparkling wine, regardless of name, gets its sparkle from secondary fermentation. Primary fermentation is part of every wine’s heritage. That’s what turns grape juice into wine. The fermentation is complete well before bottling, however. That leads to still (or unsparkling, if that could please become a word) wine. When fermentation starts again, after the first round of fermentation is over, the resulting carbon dioxide bubbles can give the wine an effervescence if they remain trapped in the wine. This secondary fermentation can be produced and managed in a number of ways. 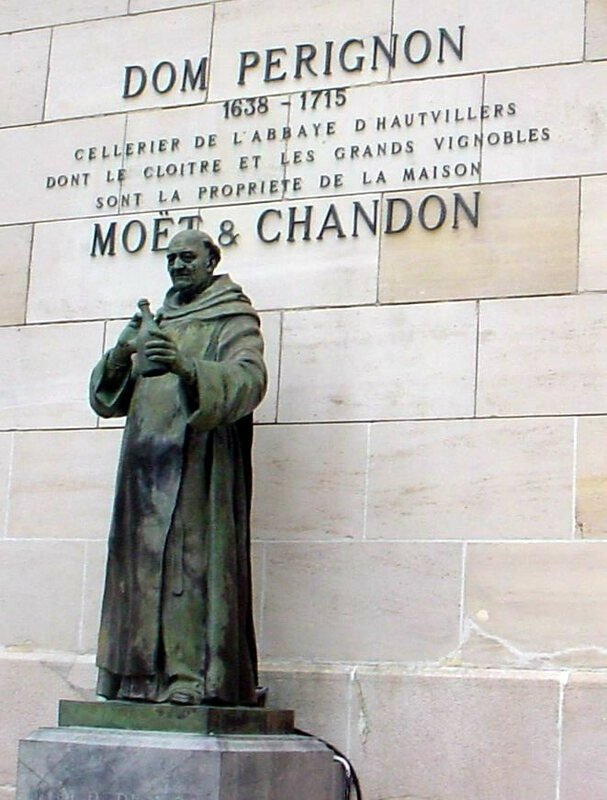 The most famous method, called the Champagne method (of course) or méthode champenoise by the locals, starts with still wine in a bottle. 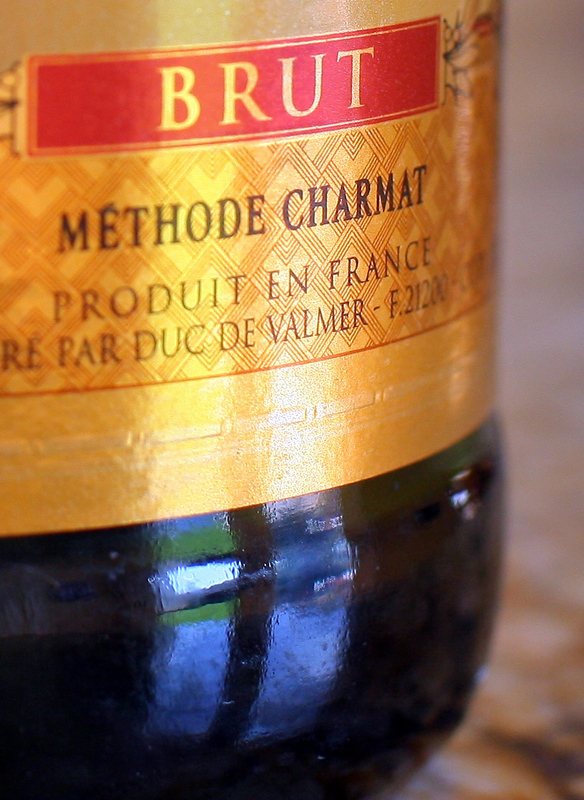 A “dosage” (the emphasis is on the second syllable to remind us that it’s French) of sugar and yeast is added to the wine and the bottle corked. The yeast eats the sugar, producing alcohol and carbon dioxide, until the sugar is completely consumed. The yeast then dies from lack of food. The dead yeast and other byproducts end up as sludge in the bottle. 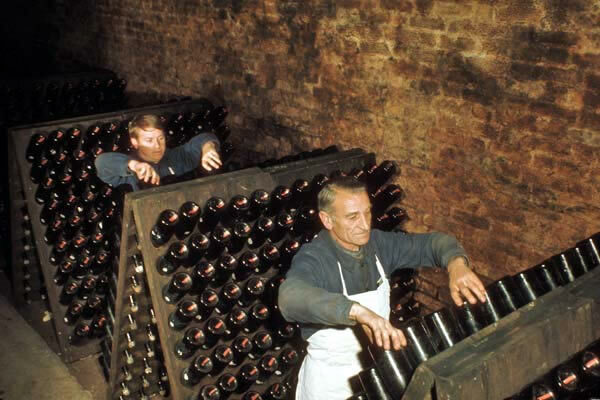 By a process called riddling, these solids are coaxed up into the neck of the bottle through a patient series of adjustments to the inverted bottle. Eventually, these solids are up in the neck of the bottle, against the temporary cork. At this point, the tip of the bottle is frozen, the cork removed along with the sludge, and the final cork inserted. Boom! You have champagne! The Charmat method of making sparkling is a lot more direct and less labor intensive. Large stainless steel tanks are filled with still wine, yeast and sugar is added, and the tanks hermetically sealed. Pressure builds up from the secondary fermentation, but the pressure tanks keep the gas from escaping, forcing it into the wine. After the secondary fermentation is done, the sparkling wine is dramatically chilled to keep the carbon dioxide disolved in the wine, and bottled. Ready for sale! Sparkling wine is described in terms of sweetness (or dryness depending on your perspective). The least sweet is called Brut Nature or Brut Zero, with less than 3 grams per liter (g/l) of sugar. Next up are Extra Brut and Brut with less than 6 g/l and 12 g/l of sugar respectively. Extra Dry and Dry aren’t really that dry at all, with 10 g/l and 20 g/l or sugar. That means that dry champagne has the equivalent of about a teaspoon of sugar per glass! Still too dry? Check out Demi-Sec or Doux, which contain 50 g/l or even more residual sugar. So there you have it, the secret of those tiny bubbles. 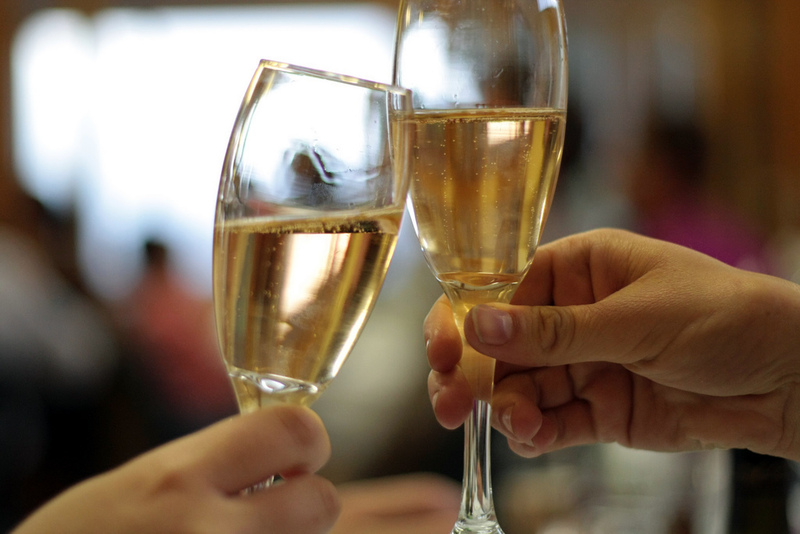 Thanks to clever marking, and producing a sparkling wine for nearly every palate, drinking champagne has become nearly mandatory at new year’s celebrations and other festive events. Our favorite festive excuse for opening a bottle of the sparkling wine is commemorating a day ending in “Y” or the arrival of loved ones. And we are blessed with a lot of loved ones. What’s your favorite reason to pop a bottle of bubbly?